The and are notably missing. Any they currently do not run on any track with CBTC. The , , , and , I can understand. Hopefully the IRT style countdown clocks will come with it. The countdown clock system in the IRT is tied into ATS IIRC, and IMO the IRT countdown clocks are far superior to the B div clocks. Since when was the and getting CBTC? This is great news to hear. The letter lines will get a big boost in service soon. 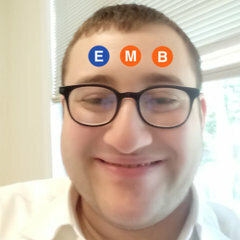 "Siemens designs and furnishes CBTC/ATS software for the QBL portion of Subway B Division (comprised of the E, F, M, N, Q and R lines)"
So am I finally going to hear at Fulton St station: "There is a Brooklyn-bound express train to Far Rockaway- Mott Av approaching the station. Please move away from the platform edge."? 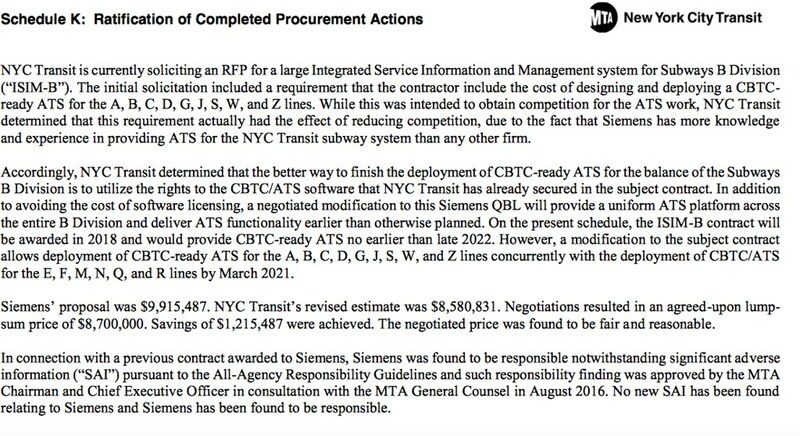 So "CBTC Equipment Supplier Interoperability" contract was an utter failure and this contract mod seals the deal that Div B is owned by Siemens for next 50 years? This is Funny to me!... they can't even get it fully right on the and but want to put it on the whole B Division. They better off putting Cbtc in the entire A first. Get ATS in the B First! LoL... i don't get . Thinking to far ahead of themselves! This is ATS in the B division... It's just gonna be designed to be CBTC ready. There is NOT ATS in the B Division . If that was the Case there wouldn't be anymore Tower Operators. RCC would control the Whole system like the Do the A Division! We know that. 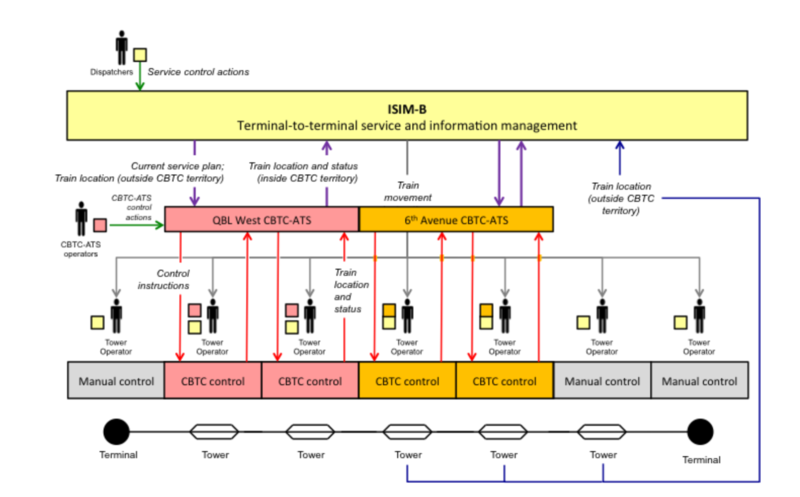 The plan according to this post is to install ATS across the B Division and make the system CBTC ready for whenever they decide to switch over. Somebody’s didn’t know. I was letting them know. So is this still based on ISIM-B in some capacity? How much changed with this revision? You know what. When I’m wrong with m wrong and I’m not gonna argue like a certain somebody will. You said “ This is ATS in the B division... It's just gonna be designed to be CBTC ready” and I misread. Thought you said THERE IS! . My bad! Read it carefully. 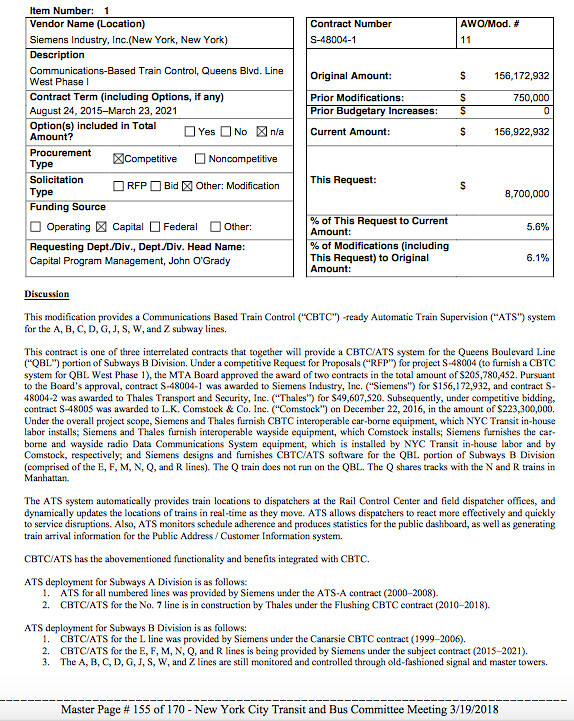 It says nothing about the N and Q getting CBTC. The new ATS signals will be CBTC ready if they decide to go that route in the future. 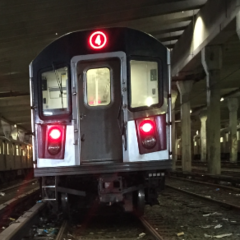 The R160's that run on the N/Q are already CBTC ready. doesn't ATS have alot of problems? is ther any advantage with ATS? Centralization is one of the biggest benefits I can think of right now. While they have been consolidated significantly over the years, there still are a number of tower operations in place across the B-Division compared to the numbered lines, where everything is controlled from Grand Central master. Putting ATS operations in place along the lettered lines will allow for more streamlined operations and reduce the number of times where certain short-turns that are physically possible do not happen due to a lack of tower operators at the time (looking at you perennially suspended when there's an incident on one end of the Crosstown line). Does everyone feel this way? I feel like the B-div countdown clocks are a little more accurate, it's just that there's only one screen usually on a given platform that's not great - but you can always get the data on your phone so, eh. Even in places with light-centralization - e.g. master towers - I've seen problems where two master towers aren't talking to each other properly or RCC is saying one thing QB master is saying another thing. If done right, there can be huge improvements from centralized tower operations, especially in the case or reroutes. Conversely, well, "central point of failure" if not done right. Nothing a sufficient backup can't fix. If I'm not mistaken, the ATS system for the A-DIvision is backed up somewhere at MTA HQ. The B division system is a LOT less reliable than the A division. The data feed is much more limited- the transponders are only at stations, and it also cannot tell the difference between local and express tracks. Unless somebody reprograms what a train is doing in the system, a local diverted to the express tracks still shows up on the displays on local tracks. An express running local does not show up on the displays, unless somebody tells the system it is local.